A Manchester-based research group has developed a new, potentially ground-breaking method for producing graphene ink by utilising the environmentally safe and sustainable solvent: Cyrene. These inventions may seem like sci-fi, but they are in fact rapidly becoming a reality thanks to new developments in the field of printed electronics. Printed electronics are just what they sound like – electrical devices created by printing in conductive ink. They can be printed onto almost any surface: glass, plastic, or even skin. These circuits make it possible to connect everyday objects to each other, allowing them to be remotely monitored and controlled via the internet. This idea of connecting inanimate objects is broadly referred to as the ‘Internet of Things’. It is already seeing much application in industry, with experts predicting over 50% of new businesses being run on the Internet of Things by 2020. But traditionally connecting these objects has required the use of expensive microchips. Printed electronics potentially provide a much cheaper and quicker alternative. The rapidly growing sector of printed electronics is expected to be worth around $43 billion (£33 billion) by 2020. Printed electronics work by printing with ink that can conduct electricity. 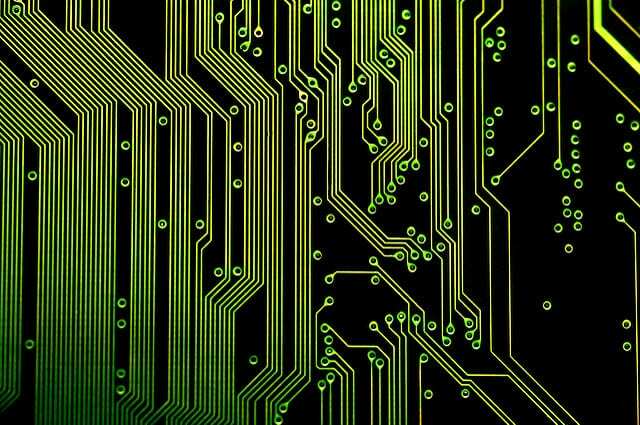 Most conductive inks currently in use rely on metal nano-particles for their high electrical conductivity. These inks can be expensive to manufacture, and are often prone to decomposition. Graphene-based inks offer greater electrical conductivity and are less prone to the defects of typical conductive inks. Graphene, first isolated by the research group of Andre Geim and Konstantin Novoselov in 2006, has a unique structure. It exists as a giant 2D sheet of carbon atoms, one atom thick. This structure results in remarkable properties such as high tensile strength and high conductivity. These properties mean graphene is the focus of much research aimed at creating so-called ‘next generation’ materials. Unfortunately, graphene only has these properties when in sheet form. In bulk, it tends to clump together and lose these desired properties. The development of conductive inks and other graphene-based technologies has been subdued because it is currently impossible to produce sheet graphene on a mass scale. Most production methods require the use of industrial solvents, many of which are highly toxic, and are potentially very harmful to the environment. These solvents allow graphene sheets to be separated out in solution. The Manchester-based study utilises a much more environmentally friendly solvent: Cyrene. Published in the journal Nature Communications, the study found that using this recently developed solvent, ink containing a high concentration of pure sheet graphene can be produced. Graphene technology development has also been held back by a general lack of market uptake. Simply put, a product has not yet been invented that is exciting enough to bring graphene-based technologies into the mainstream. The paper’s lead author, Kewen Pan, suggests that their method could be “a significant step towards commercialisation of printed graphene technology”. While the technology still has a way to go before becoming commercially viable, this study is a big step in the right direction.